I know you want to look as girly as possible, but how feminine are you on the INSIDE? Is your inner gender MALE or FEMALE? (Or a bit of both?) Take this quick quiz to discover your inner gender! Note: This quiz is for entertainment purposes only. 🙂 It’s not meant to be used as a diagnostic tool. Your inner gender is %%PERCENTAGE%% female. How do you feel when people talk about their feelings? Are you naturally good at math? Do you give people compliments? What would you rather know about somebody you just met? How easy is it for you to tell how a person is feeling by looking at their face? What do you when have a problem? What’s more important to you during arguments? What would you do if somebody you knew was acting strange? 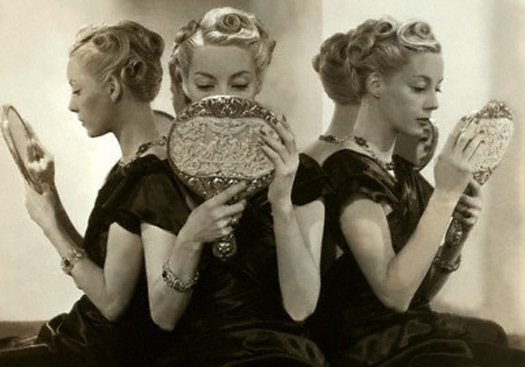 Do you tend to notice when people have poor manners? What do you talk about most with your friends? Which do you prefer to read? Sooo, what was your score? I’d love to know, so please share it with us in the comments section below! P.S. 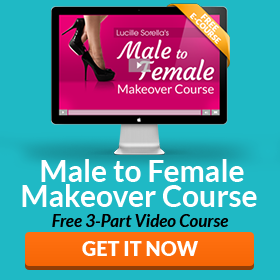 Are you ready to feel more feminine from the inside out? Click here to learn how The Unleash Your Inner Woman Program can help you unleash the feminizing power of your mind! I am 67% girly, I guess that is why I like cross dressing. My inner gender is 83% female, it didn’t surprise me. Be lo sapevo gia che ero una femminuuccia .ma wow.!!! I remember taking this test a long time ago. This was a fun test. Back then I was trying to figure out what most of the answers even meant, but now I actually understand a lot of it. I’m much better in tune with people’s feelings, I notice quite a lot, and I actually care. I got an 83% female score.